Sawyer Complete 2 Liter Water Filtration System | BUDK.com - Knives & Swords At The Lowest Prices! 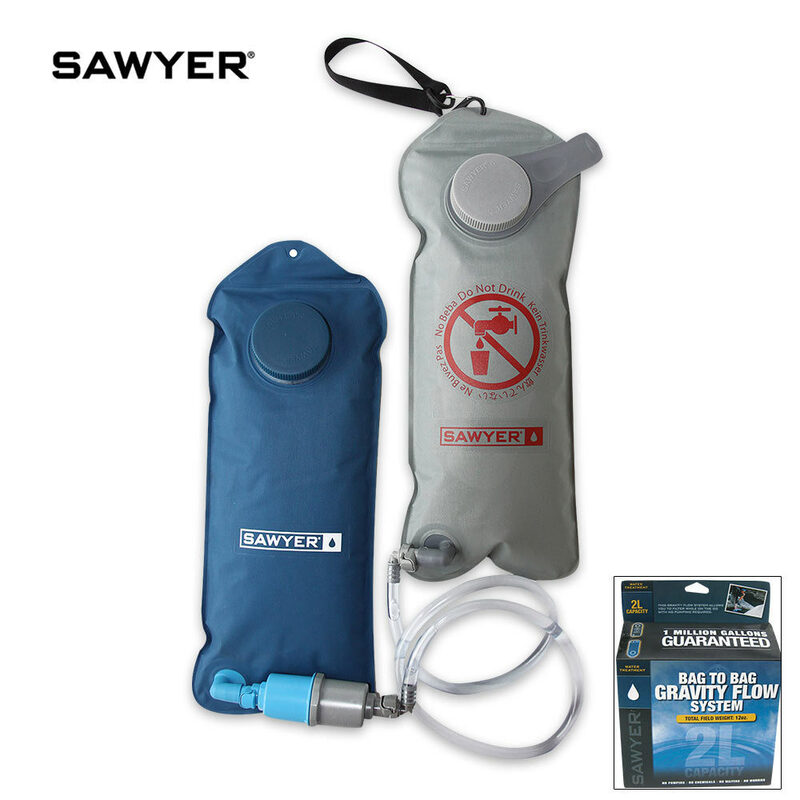 Get 2 liters of clean water in just 1.5 minutes with this Sawyer Complete 2-Liter Water Filtration System! It includes a 2-liter nylon dirty water dispenser and a 2-liter nylon clean water storage vessel. Quality, BPA-free construction is durable and lightweight. Also features Sawyer PointONE 0.10 Absolute Micron Water Filter, faucet adapter, and a drinking tube. i used this on a volunteer project it the Selway-Bitterroot Wilderness and it was a wonderful device for small to medium sized groups. it allows for central access to reliable and clean water. i would strongly recommend this product.